I was watching the CCL game on Tuesday night between Houston and San Francisco (Panama) and had a random thought when the back of Nate Jaqua's jersey was shown. I wonder how many players have a Q in their last name? I know, not the most useful information in the world, but once it popped in my head I had to find out. Here is the "Q" list from MLS, USL1, and a few of the big leagues in Europe (last names only). Barcelona leads the way with 4 Q players on their first team and Quique and Aquivaldo Mosquera are the only double Q players. 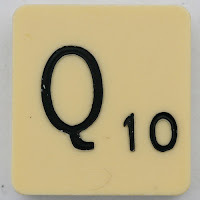 I didn't find any Q without a U combos. Are there any out there?